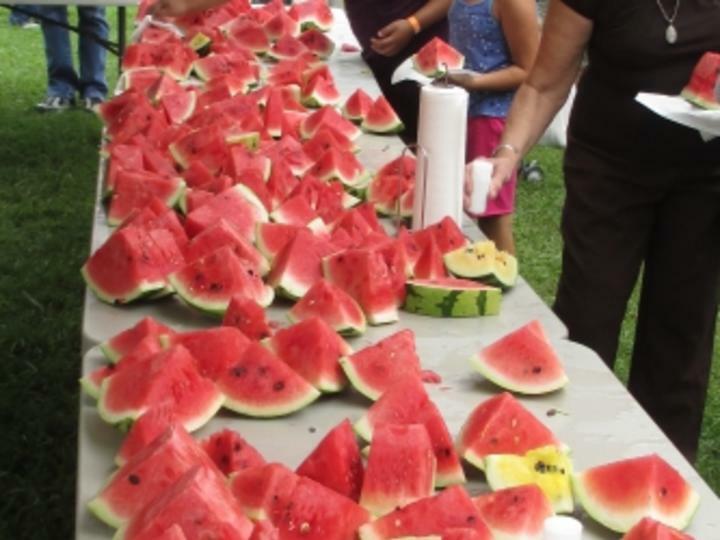 Decatur, Ala. – Summertime’s favorite sweet, juicy treat takes center stage for two days in August when the annual Watermelon Festival returns to Russellville, the Watermelon Capital of Alabama. Set for August 18-19, 2017, the Watermelon Festival offers arts and crafts, a variety of watermelon contests, car and truck show, tractor show, food vendors, children’s activities, games, and musical entertainment, along with free samples of watermelon. The festival weekend begins with opening ceremonies at 5:45 p.m. on Friday. Music fills the air at 6 p.m. when Christian group Purpose takes the stage, followed by First Born Sons and 7 Bridges. The music continues on Saturday beginning at 5 p.m. with performances by the Cadillacs, Southern Heat, Joseph Baldwin Band and Aaron Tippin. Additional free local entertainment can be found on Saturday from 10 a.m. to 4 p.m. in the historic Roxy Theatre, First Baptist Church Park and during the tractor show. Contests centered on watermelons, including watermelon seed spitting, the largest melon, best tasting melon, and most unusual and best-dressed melons, are a highlight each year entertaining festivalgoers of all ages. Over 100 vehicles are expected for the Car and Truck Show on Saturday, and additional activities held in conjunction with the Watermelon Festival consist of a 5K run and 1-mile fun run, Kiwanis 65- and 35-mile bike ride, S.P.A.N. Kruzin’ for Kids Motorcycle Ride, character guests to entertain the children, a beauty pageant, and the Extension Office contests. All activities take place along Main Street (Jackson Avenue). Hours are 6 to 10:30 p.m. on Friday and 10 a.m. to 10 p.m. on Saturday. Admission is free. For a schedule of events, visit the Franklin County Chamber of Commerce website at www.franklincountychamber.org and click on the Watermelon Festival link or call 256.332.1760. For the latest information, like the Franklin County Watermelon Festival page on Facebook.